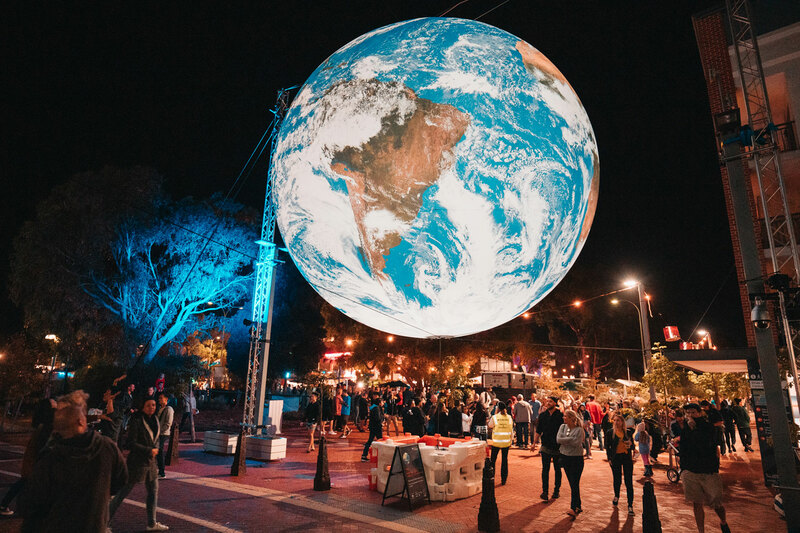 From 5-7 April 2019, Gaia was presented outdoors along with Luke’s Moon artwork as part of the Joondalup Festival, Australia. 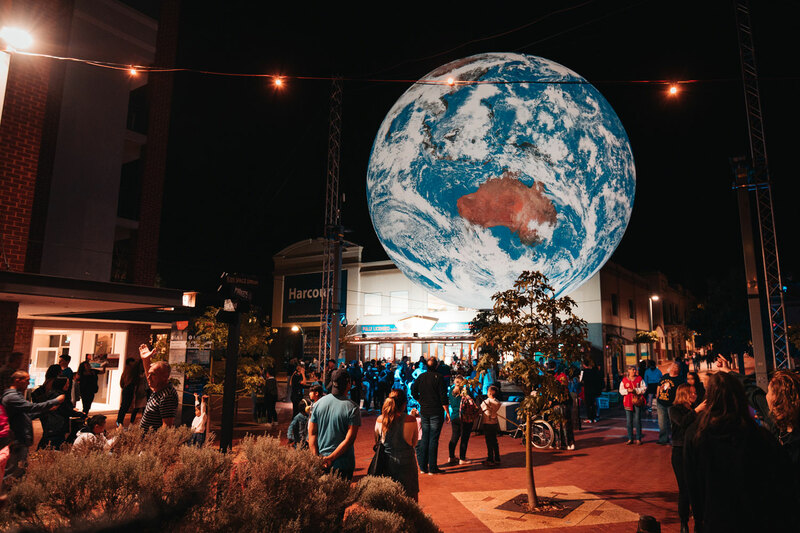 With the theme ‘Explore the Galaxy, more than 60,000 people attended the free family-friendly festival, which was held in Joondalup City Centre. The Joondalup Festival is the spectacular finale to the City of Joondalup’s summer events season, a three-day feast of arts and cultural happenings. Celebrating twenty years in 2018, it is the northern corridor’s largest and most significant community event.